When I was in optometry school, the independent practice doctors I met seemed to enjoy their profession the most—it’s one of the many reasons I chose to go into independent practice myself, 38 years ago. While I’ve found this path rewarding on many levels, my favorite aspect of independent practice optometry is the relationship we build with families. It’s a priceless opportunity and a privilege to treat multiple generations of the same family over the years and to customize my treatment for each family member based on their individual preferences. It’s a much different experience treating a grandparent I’ve seen for years vs. treating the grandchild, who has a completely different perspective on how they want to access treatment, products, and information. In my practice, we’ve learned to take these differences into account. As our patients evolve with the times, we meet them where they need to be met—on the phone, in the office, or online. With our patient base spanning multiple generations, our practice must provide a wide range of care to meet diverse needs. Our older patients typically have more medical needs and must be seen more frequently. They prefer to call in to make their appointments, browse products in the office, and get their information in-person or on the phone. The younger generation wants to do as much as possible online—the less human interaction the better, it seems. Take my two sons who are in their 30s. As patients, they do everything online—schedule appointments, access records, communicate with their providers, shop and order products. The way they want to interact and receive care is completely different than my generation and that of many of my patients. If we want to connect with these varied demographics, we need to appreciate these differences and adjust our approach accordingly—we need to meet our patients where they want to be met. 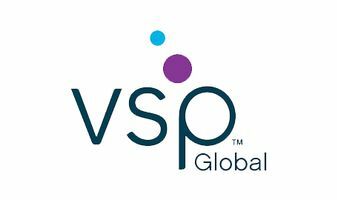 As the industry—and our patients—continue to evolve, VSP stays abreast of trends, adapts its offerings, and continues to drive patients to network practices, especially to practices participating in the VSP Global Premier Program. As a result, we’re able to offer our patients a wide range of products and services, so there’s always something for everyone. As I see it, we’ll continue to listen to our patients. The better we understand them, the better equipped we can be to accommodate their unique preferences, make modifications to the way we deliver care, and meet them where they want to be met. As you’ve been hearing (and reading) over the past several months, our industry is shifting, and VSP Global® needs to adapt to ... read more.